In late December 2003, a massive earthquake destroyed eighty per cent of the ancient Iranian city of Bam and killed some 50,000 of its residents. The news-watching world was stunned, almost unable to comprehend the scale of the disaster. Unwilling to sit back and do nothing, actor Atila Pessiani and artist Amir Mo’bed, along with around 18 other Tehran artists, sprang into action. 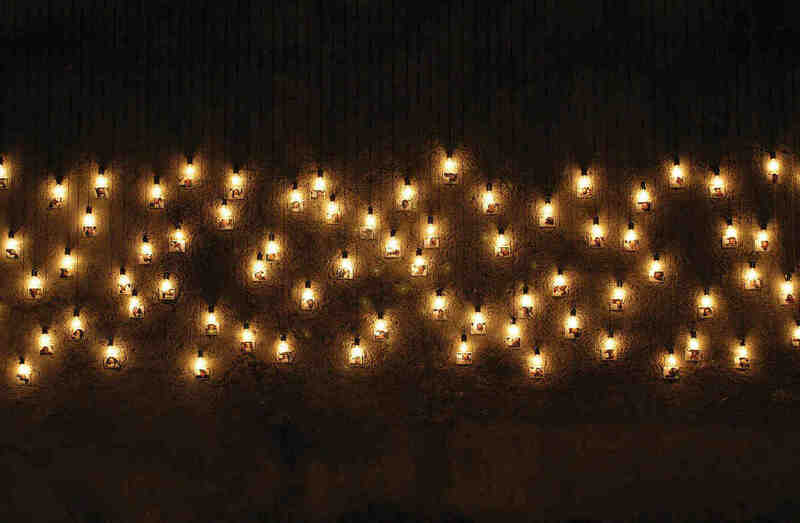 Within a week, they had sought the necessary permits, found a suitably haunting venue (a cold, dark former military depot), and curated an exhibition of original installation, performance, painting, sculpture and video to reflect on the tragedy. Renowned installation artist Bita Fayyazi got together with a group of younger practitioners — Maryam Amini, Nargess Hashemi, Alireza Ma’soumi, Ramin Haerizadeh and Rokni Haerizadeh — to create a moving installation of “fallen angels,” their clay forms twisted in grief under a blue neon arch. The same group of painters and photographers also performed a poignant shadow play behind a screen on the top floor. Meanwhile, down on the ground level of the warehouse, visitors watched Atila Pessiani’s band of keen performers, eerily shuffling their way around the gallery, plucking instruments, their faces wrapped in shrouds or bandages. 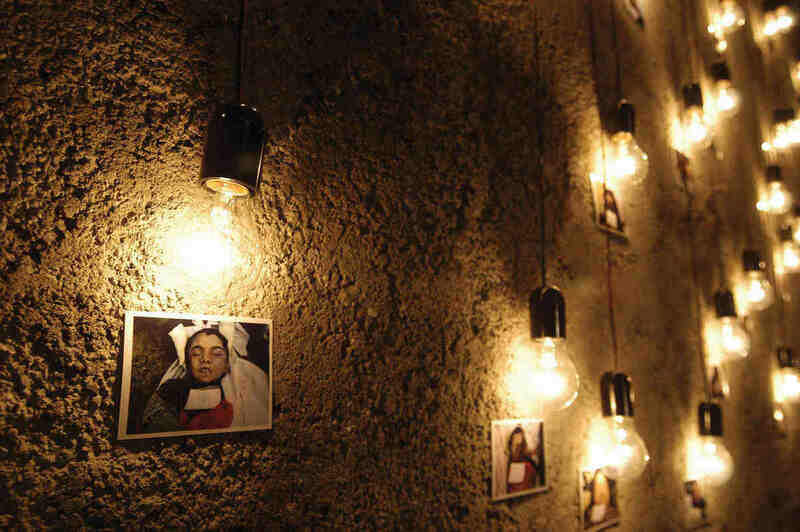 Grief was further laid bare in Mourning for 100 corpses, an installation by rising Tehran art star Shahab Fotouhi, who presented forensic photos of unidentified people dragged from the rubble, with each tiny, vivid portrait illuminated by a single, naked bulb. And down in the dank basement, while visitors lit candles in Amir Mo’bed’s long, soft terra-cotta memorial, filled with the heady colour and scent of carnations, Jinoos Taghizadeh’s camera, set up opposite a slide projection of a mass grave, cynically flashed away, forever shooting the dead. 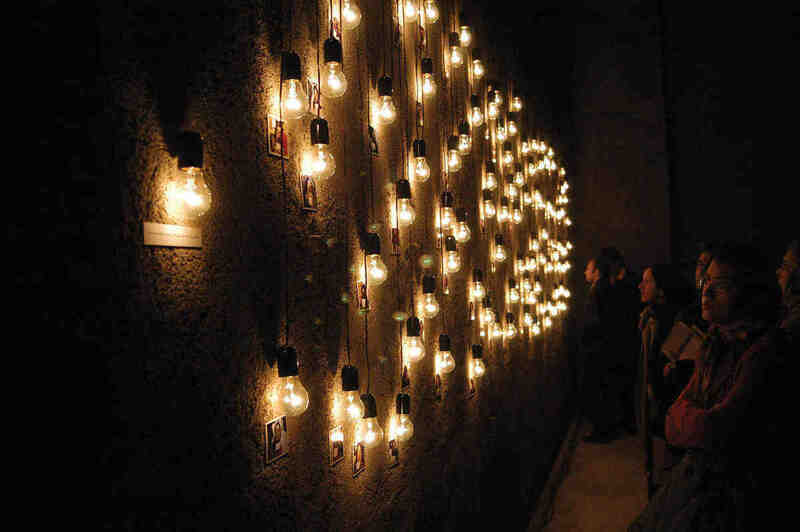 For Bam was a threefold rarity among contemporary art shows: it was a swift yet pensive response to a current tragedy; it brought together disparate visual and performance artists in a tightly-curated, innovative and collaborative show; and it reached out to viewers, providing them with an opportunity to reflect and grieve.